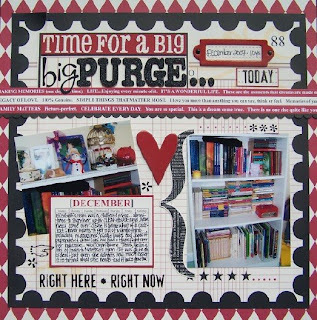 Ally Scraps: Teresa Collins JOURNAL IT! Patterned papers are the Journal It line, including the cool calendar block! Glittery letters are American Crafts Roller Rink thickers and the book plate and heart and Heidi Swapp. Awesome layout Dana! Great idea for a page! Great job Dana. I love all the details. I'm sure she will appreciate it in years to come.